1. Left click on the chart. 2. 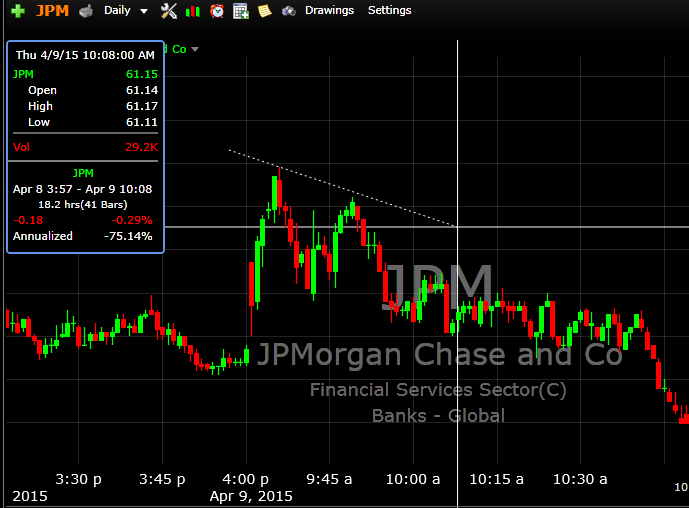 The chart point and data box will appear. 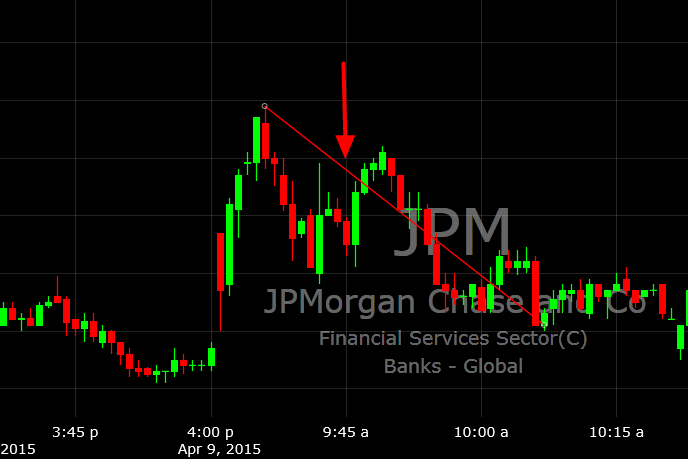 Price and any indicator values for that point on the chart are displayed when using Pointer Mode. 3. Click and drag your pointer to create a dotted line. This will allow you to view the data for the selected area. 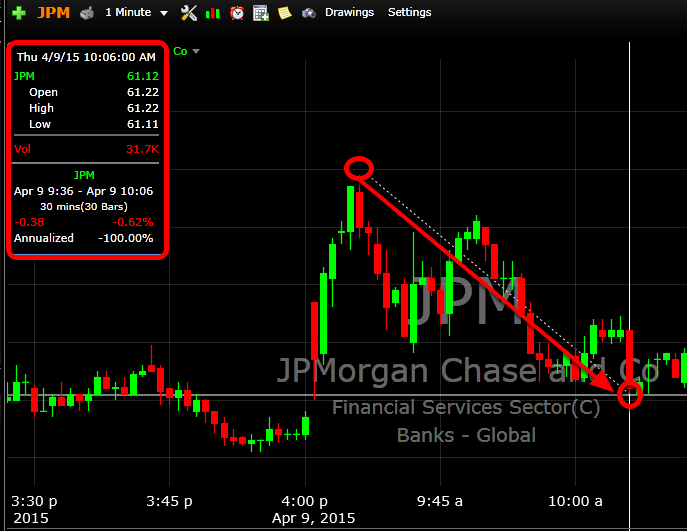 Once the dotted line has been created you can click the spacebar to make a trendline. If you want the pointer to remain on, you can toggle it on using the period (.) key. It's a three-position toggle. Off, On and On with data box displayed. 4. If you have multiple charts displayed in your layout, the pointer will show up on all of them at the same point in time as the chart you clicked on. 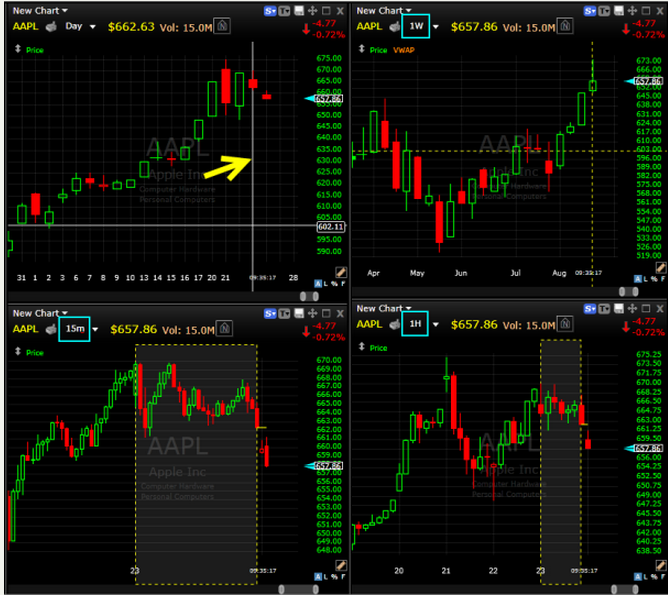 In the example below we have four charts, each on different time frames. 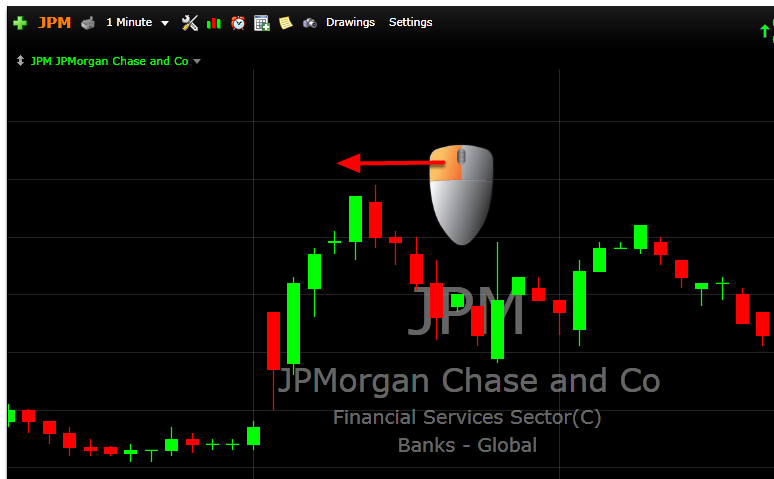 Clicking on the Daily chart in the upper-left activates the pointer on the other three charts. 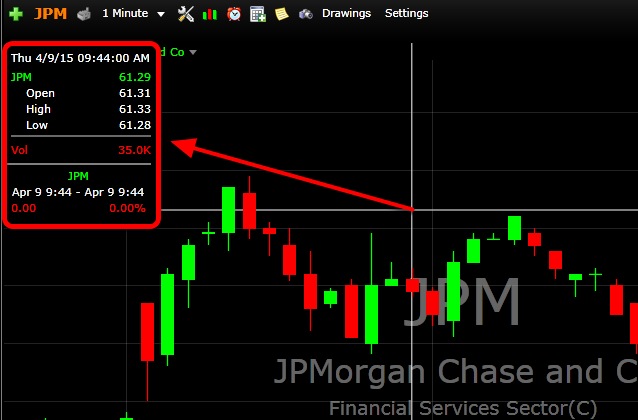 On the 15 minute (lower-left) and Hourly (lower-right) the pointer covers the full span of time selected on the Daily chart. 5. 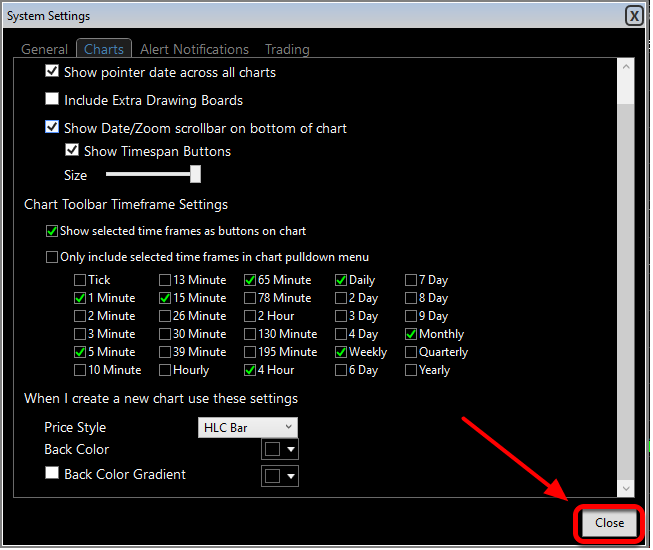 If you want to disable the pointer across all charts, click on tools. 7. Click on the Charts tab. 8. 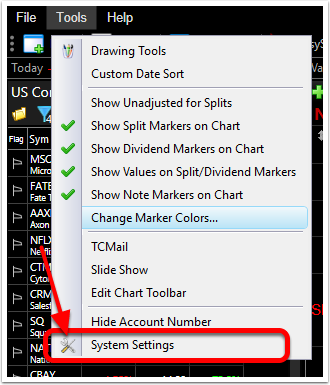 Uncheck the box beside Show pointer data across all charts.